As of January 23, 2019, Upsuite is proud to announce the Company’s recent partnership with Colliers International, a leading global commercial real estate services firm Colliers International Group Inc. (NASDAQ and TSX: CIGI). 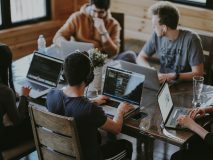 As the coworking industry continues to grow, many coworking operators have not found an efficient way to attract qualified teams to their location. Many of these organizations report vacancy rates of greater than 40% and an average tenant turnover of every 18 months. 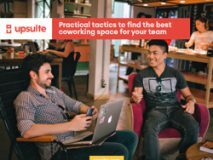 At the same time, commercial real estate brokers are having a hard time finding and comparing the many available coworking locations for their clients. Through the recently announced partnership, Colliers will have access to, and utilize, Upsuite’s platform, inventory data, and service offerings. 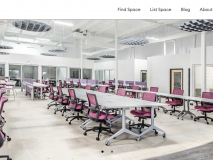 Colliers professionals will now have the ability to quickly and easily secure the best, and most appropriate, flexible workspaces in their respective markets for clients at competitive prices. The partnership originally stemmed from Upsuite’s success in their recent participation in Colliers Proptech Accelerator, powered by Techstars. Colliers International Group Inc. (NASDAQ and TSX: CIGI) is a top tier global real estate services and investment management company operating in 69 countries with a workforce of more than 13,000 professionals. Colliers is the fastest-growing publicly listed global real estate services and investment management company, with 2017 corporate revenues of $2.3 billion ($2.7 billion including affiliates). With an enterprising culture and significant employee ownership and control, Colliers professionals provide a full range of services to real estate occupiers, owners and investors worldwide, and through its investment management services platform, has more than $25 billion of assets under management from the world’s most respected institutional real estate investors. The professionals at Colliers think differently, share great ideas and offer thoughtful and innovative advice to accelerate the success of its clients. Colliers has been ranked among the top 100 global outsourcing firms by the International Association of Outsourcing Professionals for 13 consecutive years, more than any other real estate services firm. Colliers is ranked the number one property manager in the world by Commercial Property Executive for two years in a row. Colliers is led by an experienced leadership team with significant equity ownership and a proven record of delivering more than 20% annualized returns for shareholders, over more than 20 years.